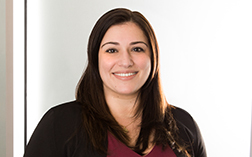 Natasha Khachatourians is an attorney with Betts Patterson & Mines P.S. and a member of the Insurance Defense Practice group. Ms. Khachatourians focuses her practice on complex civil litigation, including the defense of businesses and individuals against a variety of personal injury and property damage lawsuits, ranging from premises liability and construction defects to wrongful death. Ms. Khachatourians gained experience working with national and regional insurance defense firms. She also has experience representing creditors’ rights related to consumer debts, breaches of contract, and bankruptcy.